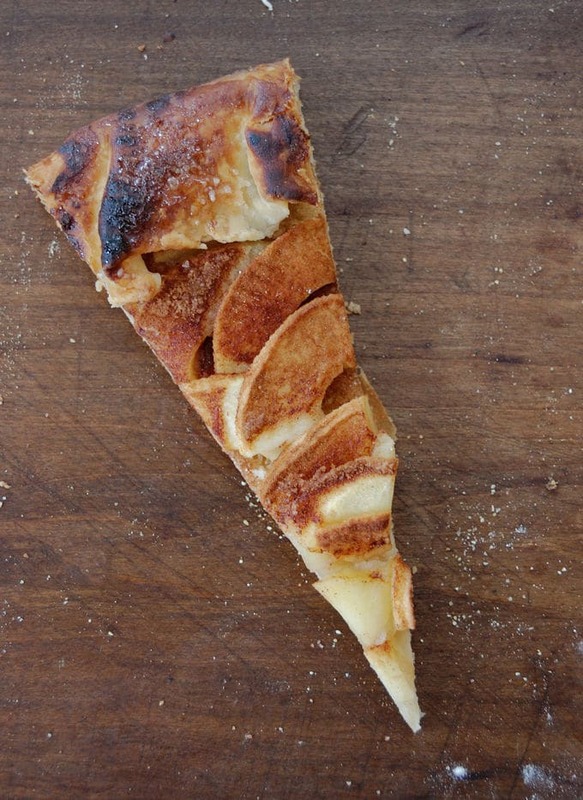 Warm Apple Cinnamon Galette with a scoop of vanilla ice cream is dessert perfection. 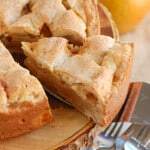 So simple to make – wrap flaky pie dough around fresh cinnamon-sugar apples, then bake, and you’re done. I’ve said it before, and I’ll say it again; put some fruit into a pastry crust, bake it up until it’s golden brown and delicious, et voilà, my idea of the perfect dessert. Pies and tarts of all sorts are my favorite, but I have a special place in my heart for the simple galette, or free-form tart. When I make a galette it’s always with seasonal fruit, minimal sugar and a great crust. One of my all-time favorites is my Plum Galette with a walnut crust. The juicy plums pair perfectly with the nutty crust. 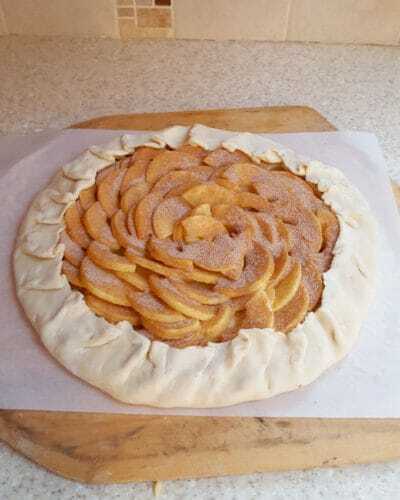 My Pear-Ginger Galette is very similar to this Apple Cinnamon Galette. As you can see, the possibilities are endless. Simply swap in whichever fruit is seasonal and use a spice that highlights that fruit. 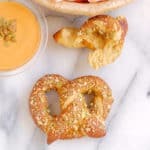 You can also use whichever pastry dough you like to work with. 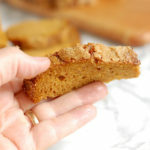 I’ll admit that some pastries can be kind of fussy to put together, but a free form tart is meant to be rustic so no special pastry skills are needed for this dessert. 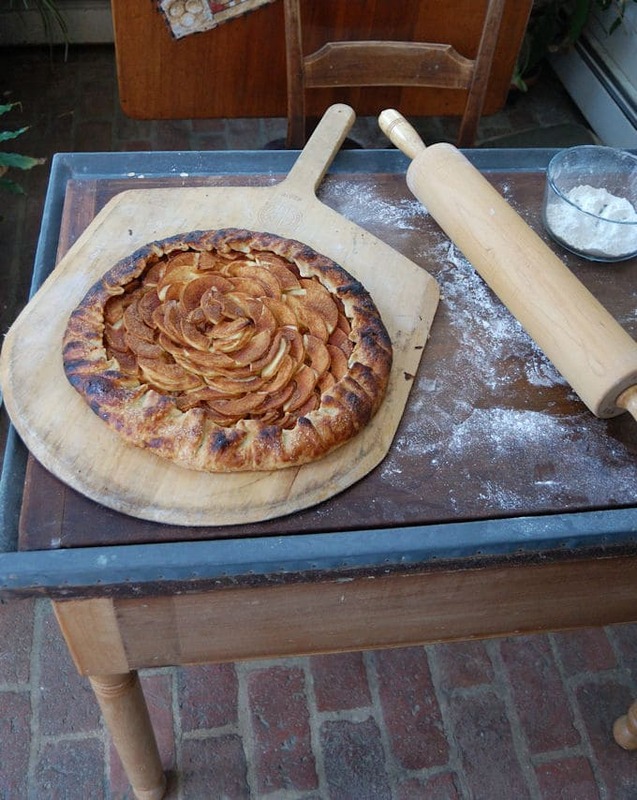 My Wood-Fired Apple Cinnamon Galette! 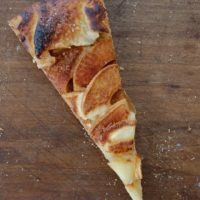 The most fun part about this particular Apple Cinnamon Galette (well, the most fun besides eating it) was that I baked it in a wood-fired, brick-lined oven. The super hot oven with the hot stone floor was the perfect environment for a galette. Is that little bit of char on the crust a mistake? Not to me, that’s my favorite part. 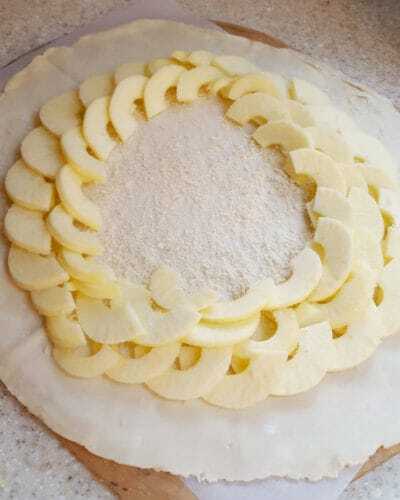 You can bake this galette on a parchment lined baking sheet or if you have a baking stone pre-heat it and bake the galette directly on the stone (I would put some parchment under it in case it leaks a little. Gerry, the homeowner of the house with the fantastic wood fired oven. 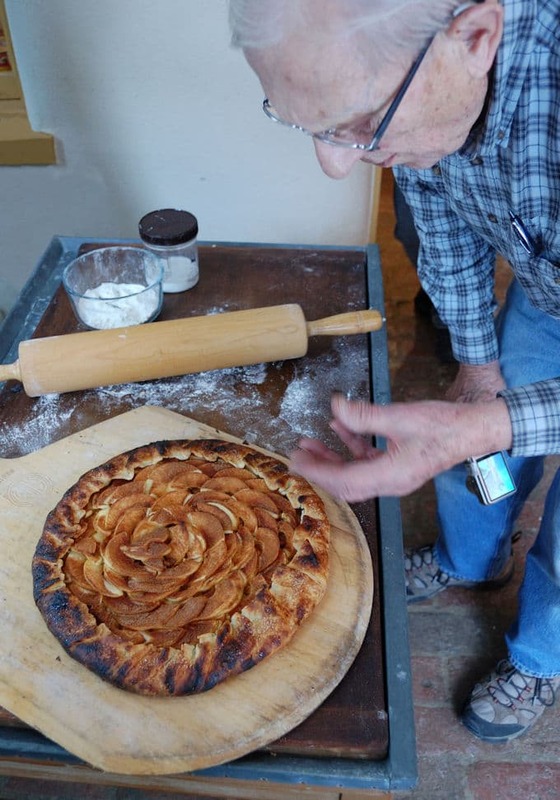 He’s enjoying the aroma of fresh baked Apple Cinnamon Galette. If using a baking stone place it in the oven to preheat at least an hour before baking. 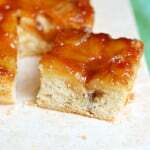 Bake directly on the baking stone or on the sheet pan until the apples are tender and the crust is well browned. Enjoy warm or room temperature. If you have a baking stone you can bake the galette directly on the stone. 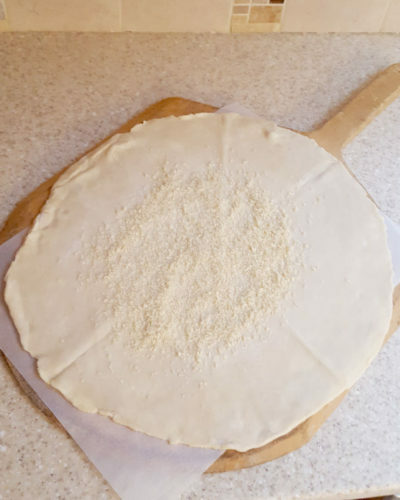 Build the galette on the parchment and slide it onto the stone using a peel or the back of a sheet pan. Otherwise bake it on a parchment-lined sheet pan. Thanks, Dominique. The wood-fired oven was the perfect place to bake a galette, plus it’s so much fun. Galettes are probably my favorite dessert of all. I would be in heaven if I had access to a wood fired oven…. your gallette is gorgeous! Thanks, Michele. It is so fun to bake in the wood fired oven. Especially for a baking geek like me. Oooh, I am so jealous of that wood-fired oven! And what a lovely and delicious looking galette! Thanks, Shannon. It was so much fun! 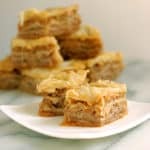 I am not a baker, but this recipe makes me want to try it! Thanks, Anne. It’s such a simple recipe. This is so beautiful! Love rustic gallettes! Some day I will have to try baking in a wood fired oven! Thanks, Maria. If you get a chance to bake in a wood fired oven, jump on it! That looks amazing Eileen! I seriously want a wood fired oven!!! I can just imagine the aroma of this very rewarding dessert! 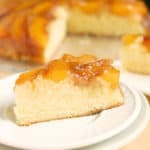 I prefer fruit desserts to have minimal sugar – and this is perfect!